There was no shortage of exciting jailbreak-centric news this past week, but perhaps the most captivating tidbit of all was the announcement that tihmstar was tinkering with an exploit that could hack a subset of devices running iOS 11.2.6-11.4.1 – specifically those with headphone jacks. From what we can gather, the original plan to release the standalone exploit for iOS 11.2.6-11.4.1 devices has been scrapped – at least for now. 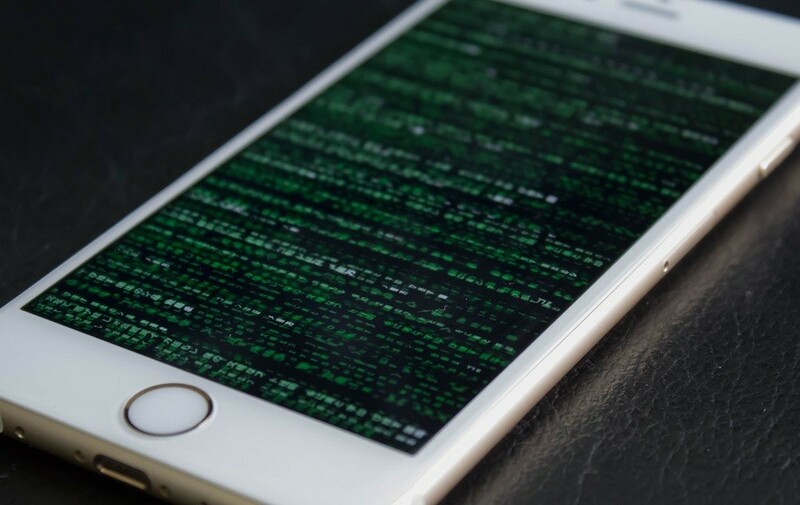 As it would seem, doing so would “interfere with other people’s projects,” and tihmstar intends to use his exploit to port a kernel patch protection (KPP) bypass to iOS 11.2.6 and later. 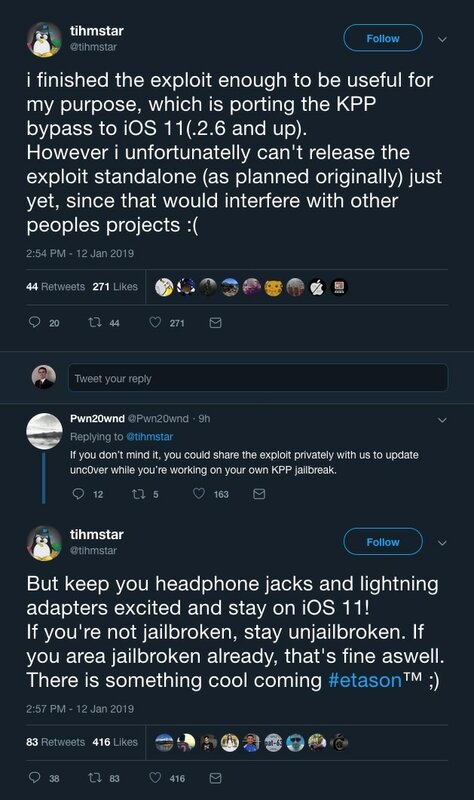 In response to the original Tweet, unc0ver lead developer Pwn20wnd appears to ask tihmstar to share the exploit with him privately such that unc0ver could be updated to include the iOS 11.4 and 11.4.1 firmware versions, but tihmstar doesn’t appear to have replied publicly. There’s no word yet about whether tihmstar replied to Pwn20wnd privately or not, so we’ll need to wait to find out. Another Tweet shared by tihmstar minutes after the original encourages iOS 11 users to stay there, adding to “keep your headphone jacks and Lightning adapters excited and stay on iOS 11” whether you’re jailbroken or not. Tihmstar also notes that “something cool is coming,” but without any clues as to what. Those who’ve already updated to iOS 12 are now stuck on iOS 12, but there’ve been several captivating iOS 12-centric exploit announcements in recent memory, and each one of these could potentially help contribute to a future jailbreak. Of course, that’s not guaranteed. As always, we recommend anyone excited for jailbreaking to stay on the lowest possible firmware and avoid installing Apple’s software updates. Each update patches vulnerabilities that hackers use to exploit iOS, and installing these makes it tougher to jailbreak your handset. At the time of this writing, Electra and unc0ver continue to be the latest public jailbreak tools available, and both support iOS 11.0-11.4 beta 3. Are you excited to learn more about what tihmstar appears to have planned with his exploit? Share in the comments section below.